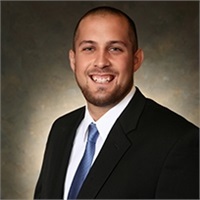 Joshua has been with Mersberger Financial Group since June 2016. He joined the firm after graduating from the University Of Wisconsin Oshkosh with a Bachelors of Business Administration in Finance. While at UW Oshkosh, Joshua participated in the Student Managed Endowment Fund for two semesters where he took part in managing the assets of the Fund which provides students practical experience in the professional money management realm. Joshua also participated in the CFA research challenge at UW Oshkosh where he competed with other university teams in a financial research competition and gained valuable knowledge in analyzing publicly traded companies. Joshua also received the FEI Outstanding Finance Student of the Year 2015-2016 award. As a finance student, Joshua also played for the UW Oshkosh volleyball team. Joshua assists the advisors in executing trades and reviewing the firm's investment strategies. He also assists the advisors with portfolio management, investment research, and developing financial plans. Joshua holds his Series 7 and Series 66 registrations and is a Level III Chartered Financial Analyst (CFA) Candidate. Josh will be pursuing Level III of the CFA Program in June of 2019 and will be eligible for the CFA charter upon successful completion of the Level III exam and entry into the CFA member society. Joshua currently lives in Sheboygan. He continues to play in recreational volleyball leagues in the area. He is an avid reader and enjoys the outdoors. He spends his free time hiking, biking and fishing around Wisconsin.